Negative oulook for EUR/USD for today too. 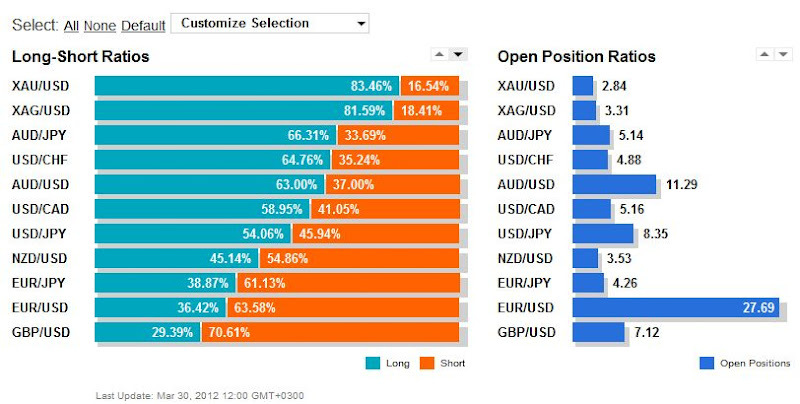 The open position ratio in Oanda is crearly short. There are two interpretations. Some say that whenever you ovserve that it is a time for bigger movement into the opposite direction, because those shorts should have their stops accumulated at the same places that are just waiting to get triggered by some smart money. On the other hand the market makers may decide to hedge and to actuvate the accumulation below that is on 1.325. I mean that he market is clearly out of balance a big move is coming.